Blackberries are characterized by their coloring, their unique composition and their flavor. Like raspberries, Blackberries are not technically a berry, but rather an aggregate fruit of individual drupes held together by very fine, nearly invisible hairs. Blackberries do not have a hollow center, instead they have a solid, edible core. When ripe, Blackberries have a deep inky sheen with purple highlights. They are succulent, soft, and juicy. Their flavor is sweet, slightly tart, with earthy undertones. Blackberries are available year-round with a peak season in summer. Blackberries are a bramble fruit within the Rosaceae family. A member of the Rubus genus, there are hundreds of specific varieties of Blackberries. The name Blackberry is often used as a generic term that refers to a wide range of bush berries that are considered Blackberries. These include loganberries, boysenberries, marionberries and ollalieberries. 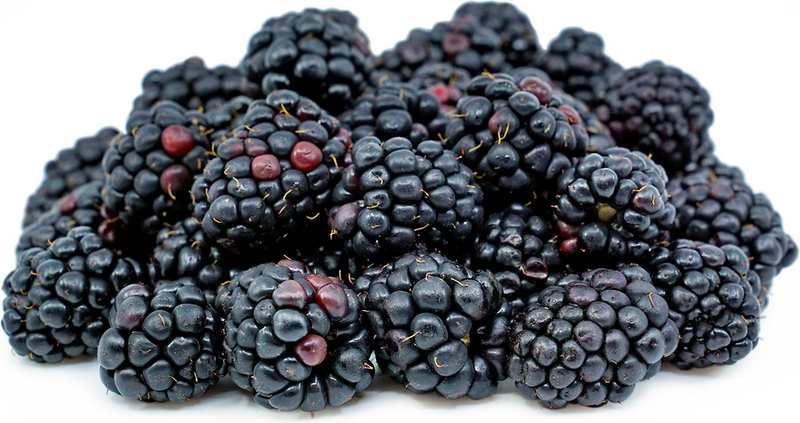 Blackberries are a good source of vitamins A and C, iron, calcium and dietary fiber. Blackberries get their dark purple pigmentation from the phytonutrient anthocyanin, which also has antioxidant properties. The sweet-tart flavor and earthy quality of Blackberries allows them to be used in both sweet and savory applications. The moderately high acidity of Blackberries cuts through the rich flavors of creamy and aged cheeses, or rich fatty meats. Blackberries can be added to ice creams, jams and baked goods. 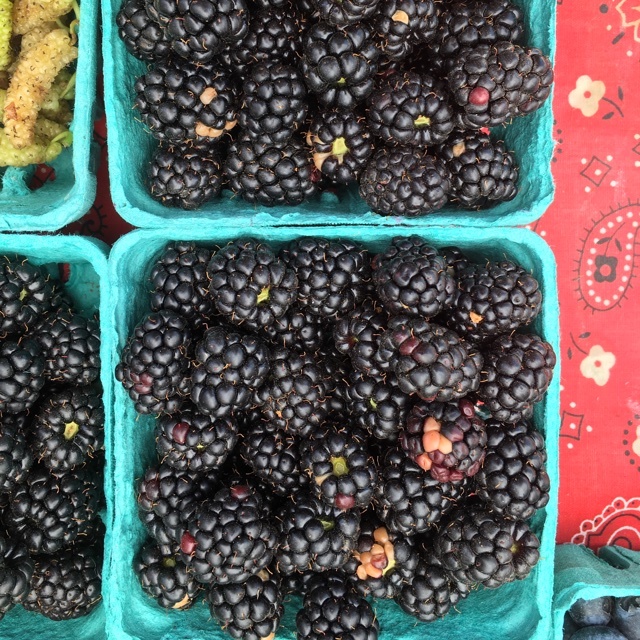 Blackberries also pair well with nuts, aged balsamic vinegar, salad greens, figs, and leafy herbs. In a 2006 study published in The American Journal of Clinical Nutrition, scientists have indicated that the antioxidant content of Blackberries was far greater than that of other foods, making them one of the top cancer fighting foods. Blackberries have a complex lineage, with native species on several continents, including Asia, Europe, North and South America. Native to the Pacific Northwest, Rubus ursinus is the most common commercially produced species in North America. In Europe, there are six species that are referred to as the aggregate species Rubus fruticosus. Blackberries thrive in a temperate climate where the weather is mild and humid. Recipes that include Blackberries. One is easiest, three is harder. 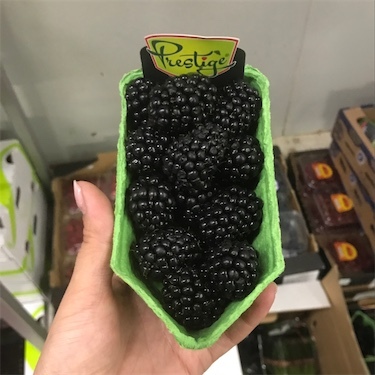 People have shared Blackberries using the Specialty Produce app for iPhone and Android. 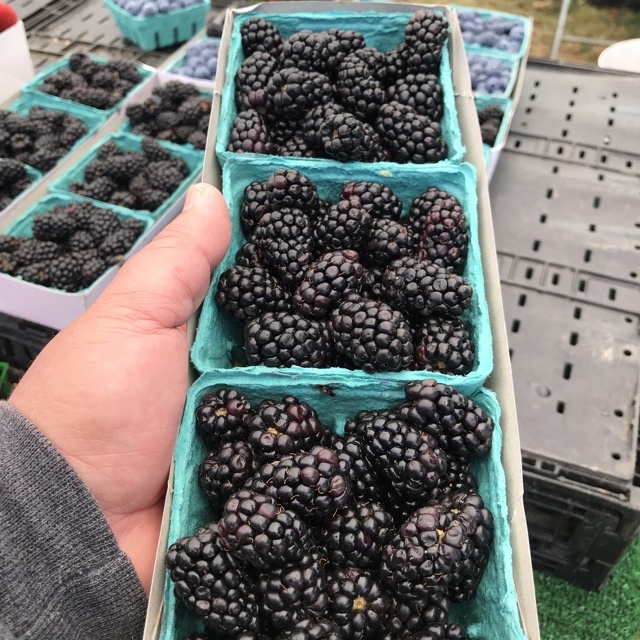 Sharer's comments : Blackberries spotted at Virginia Park Farmer's Market. Small navajo variety, tart and firm. 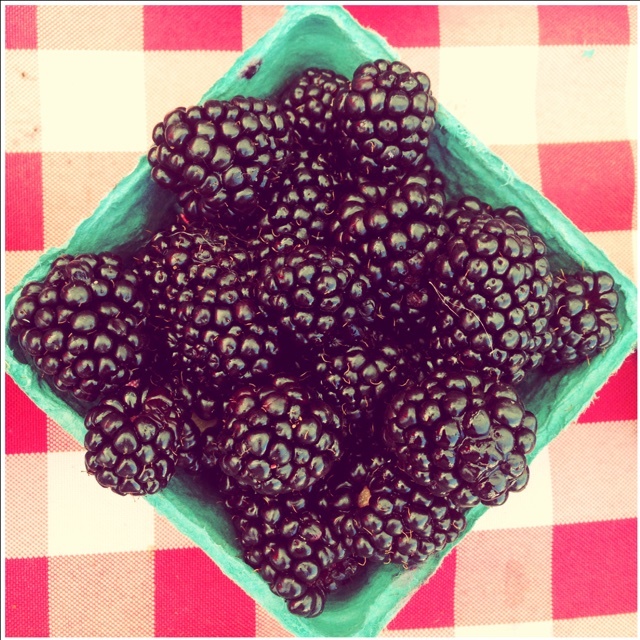 Sharer's comments : Blackberries spotted at Leucadia Farmer's Market. 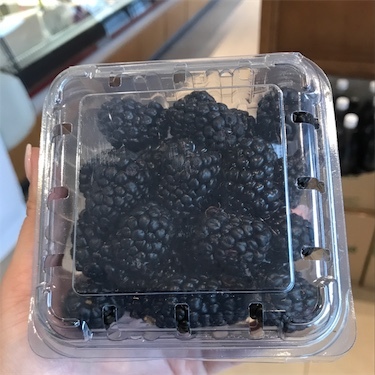 Sharer's comments : Blackberries spotted at schnucks.